Samat Lovely Begum runs a provisions store at Mollahpara in Lokkhichar, Jamalpur, Bangladesh. The store is located opposite a school in the city, which helps in getting a steady flow of customers. When her husband passed away 11 years ago, her three children were small and managing them was quite a task. The eldest, Mohammed Usman Goni, was in school and helped her mother manage the store. It was essential for the family to expand their small business so that their growing needs could be met. Coca-Cola’s 5by20 initiative has been helping Samat, and hundreds like her, with insight into growing their business. Now with a computer, printer and a photocopying machine, the business has expanded for the modest needs of the family. “The income is now better than before,” Samat, a mother of three, beams, as she says that she wants to help it grow to help with a better life. The Women Business Centres (WBC) initiative was launched two years ago and has since trained 50 women directly for 10 centres, who have in turn impacted 20,000 women in the project’s first two phases. Driven by Coca-Cola’s 5by20 initiative, its success could be a lesson for several parts of India where women are not yet a part of the workforce in large numbers. People come to the WBC to pay their electricity bill, pay their taxes, make photocopies of documents, click pictures etc. There is a school nearby from where kids come over for their stationery needs and buy packaged food items. The story of Samat Lovely Begum is just one of the many where Coca-Cola’s initiative is helping change the lives of women. 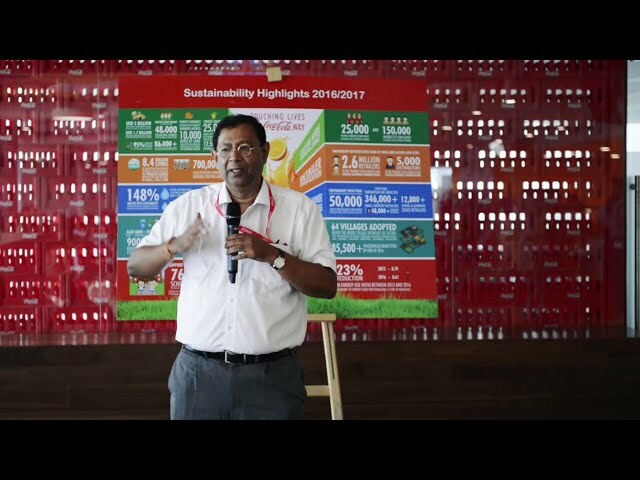 Earlier this year, Coca-Cola had announced the expansion of its 5by20 programme in Bangladesh. Through 2018, the programme is aiming to train 20,000 more women, taking the total count to 40,000. 5by20 focuses on helping women entrepreneurs across the Coca-Cola value chain overcome challenges when establishing and growing their business. There are a variety of entrepreneurs with different backgrounds - fruit farmer, supplier, distributor, retailer, recycler, artisan - who can benefit from this programme. 5by20 provides access to business skills, financial services, assets and support networks of peers and mentors. Coca-Cola has set itself a target for empowering five million women by 2020 under its 5by20 programme across the world.